Inputs from citizens are crucial to prevent expensive mistakes. But good insights require good questions. We've mastered this art. Try our predefined outlines. The conversation is around a challenge you define. You ask the question and you set the agenda. 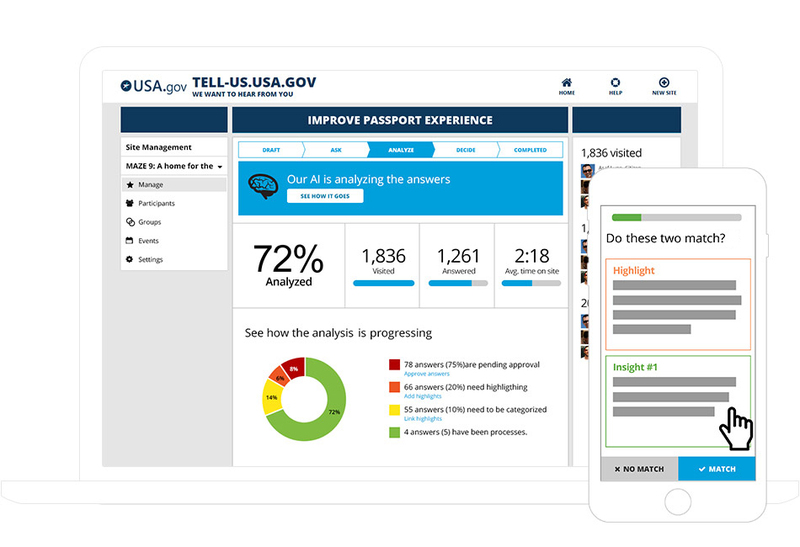 Let your citizens answer questions with free text, so that we can extract quality insights for you. You can limit access to selected residents only, and present different questions to different groups. 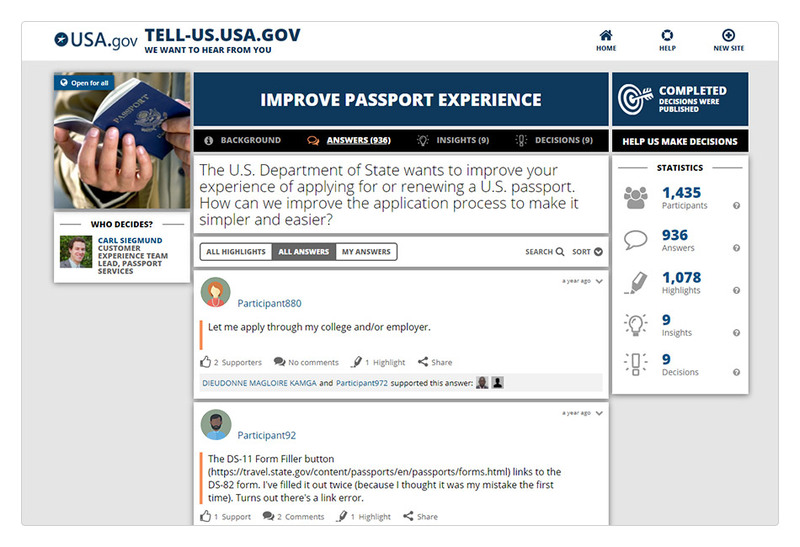 Traditional civic engagement tools send you tons of ideas. Our algorithms group similar statements together, learn from user actions and generate insights, for you. Build trust with citizens by responding to their insights. Automatically send personal impact updates, linking their statements, the insights and your responses. Personal invitations, personal updates, personal feedback. Make your citizens feel like real champions, with our technology. Civic engagement, the next generation. 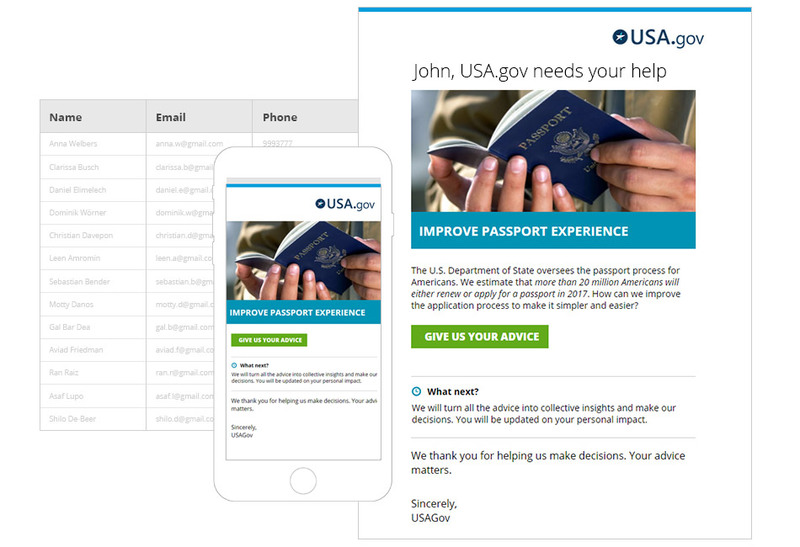 Send personalized emails or text messages to your citizens in seconds. Customize your website with your own logo, look and feel. You can set a custom domain, edit email templates and choose different images for each question. Civic engagement is not only about technology. 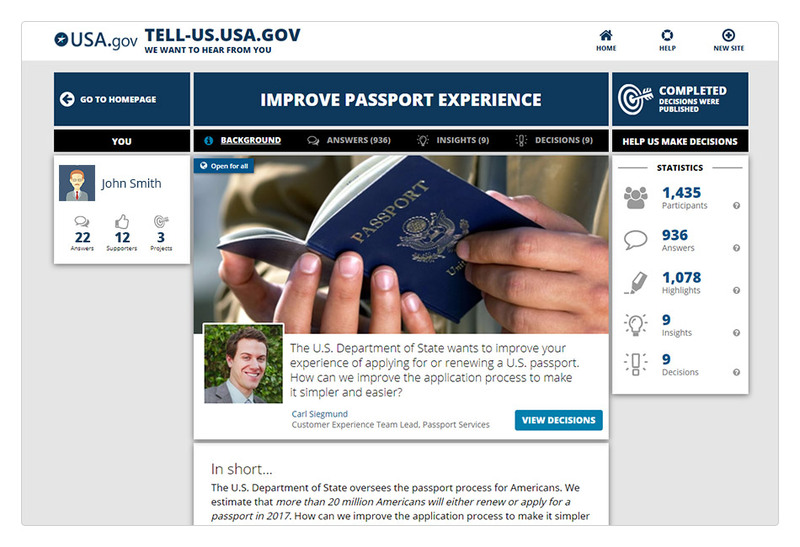 With Insights.US, you also gain a group of professionals to help you plan your next steps.